Homemade pizza recipes are a must at our house. Pizza is pretty much a sacred food. We even have a devoted day of the week: Pizza Mondays. That way when you’ve had a crappy Monday, you are guaranteed to at least have a pick me up at the end of the day. I usually make my own dough, because it’s definitely easier than you think, but if you’re in a rush you can definitely use store bought dough. The best way to up your pizza game is to change up your toppings! You’ll need a few things in your kitchen to help your pizza come out perfect: Pizza Pan (this round one, or this square one), parchment paper, and of course a pizza cutter! Once you’ve got the basics, you’re good to go! 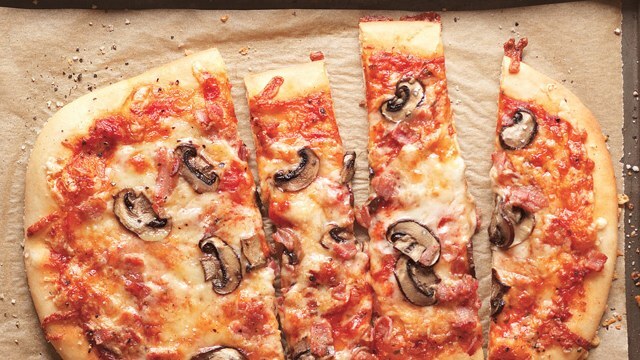 Here are 10 quick homemade pizza recipes! 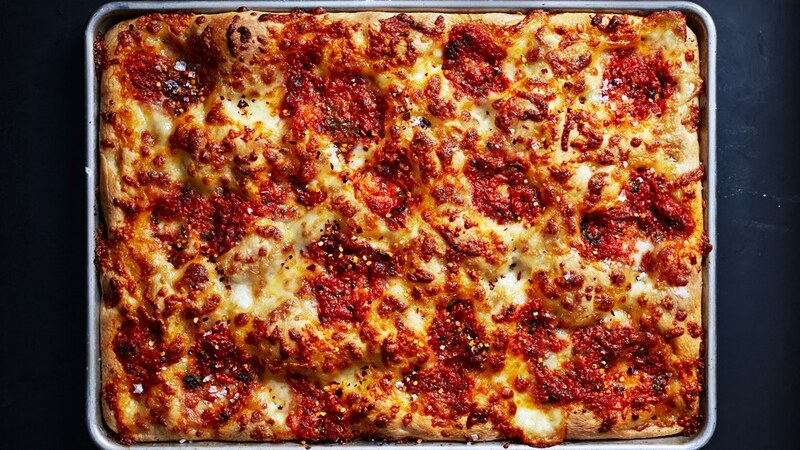 #1 Classic Mozzarella Grandma Pie: This is a great pizza dish for kids because it’s basically tomatoes and mozzarella cheese in a gooey delicious crust. 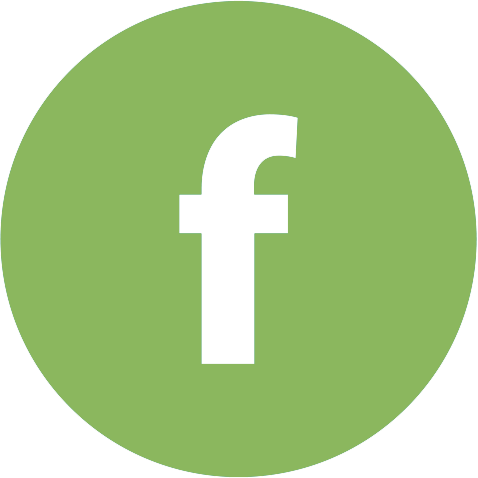 This is also a great basic recipe to make your first time! 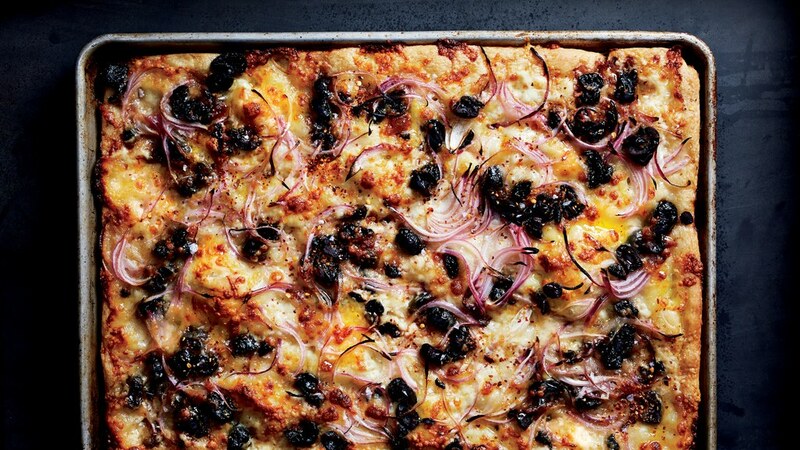 #2 Black Olive and Provolone Grandma Pie: Talk about flavor! 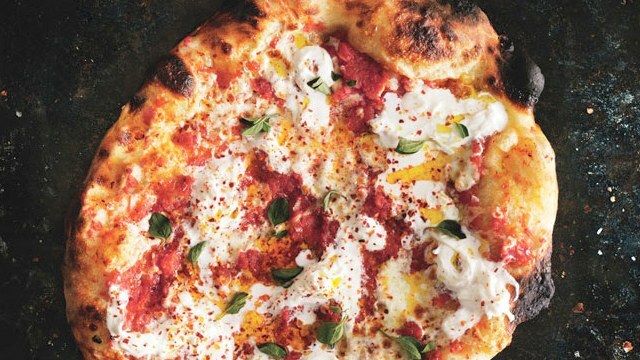 This homemade pizza recipe has basic toppings but it packs a punch. Using oil cured olives makes for a slightly saltier and tastier pie, but water brined black olives works as well. #3 Zucchini, Potato, and Fontina Pizzetas: This is a little bit trickier dough, but the flavor is absolutely worth it. Not to mention it’s a fantastic way to use those zucchinis that you planted! #4 Tomato and Stracciatella Pizzas: If you’re looking for something a little more from the home country, then you’ve got to try this pizza! 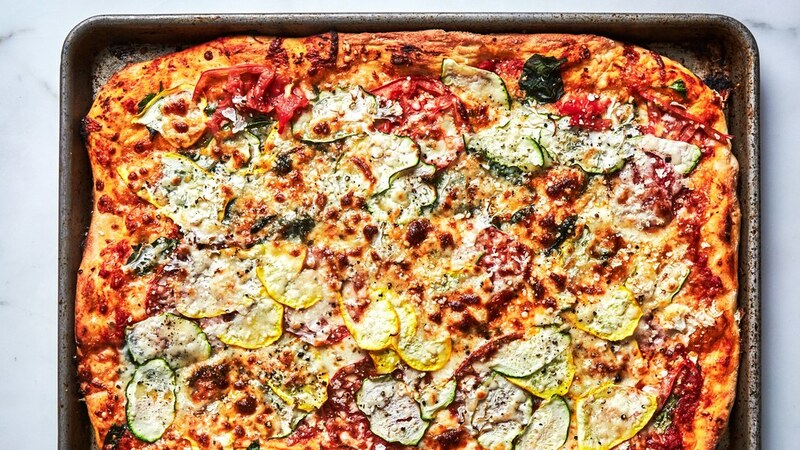 You can make them individual pizzas and not feel guilty that you’re eating the whole thing. 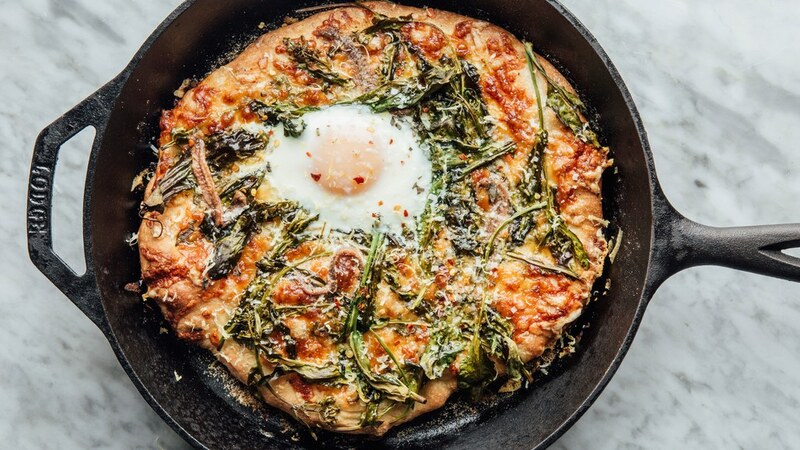 #5 White Skillet Pizza with Spring Greens and an Egg: I always have eggs around, and sometimes it’s hard to find a good use for them all. You can really only eat so many hard boiled eggs. Enter eggs and pizza! This is a great way to add flavor and get a lot of protein into one dish. Make sure you use your skillet! 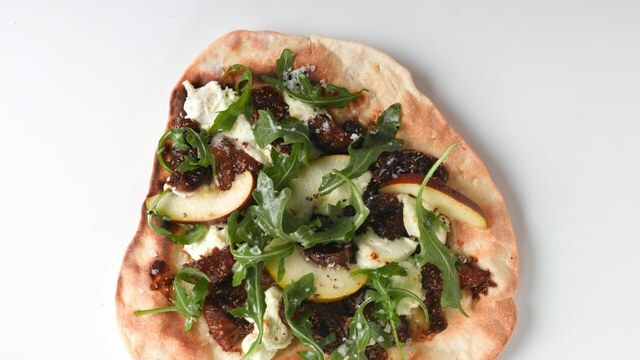 #6 Fig and Goat Cheese Pizza with Arugula: If you’re in the mood to get something a little sweet and slightly peppery, this is the pizza dish for you. The figs add some subtle sweetness while the goat cheese is creamy and sharp. 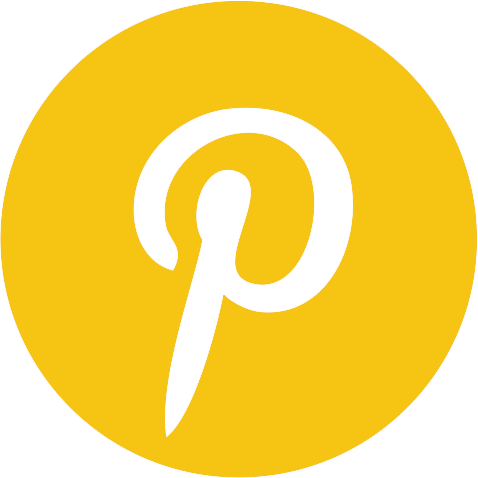 #7 Three Cheese Pizza with Pancetta and Mushrooms: My husband loves this pizza. It’s meaty and filling and so full of flavor. Pancetta is the meat of choice because it has a little more salt and crispy crunch. 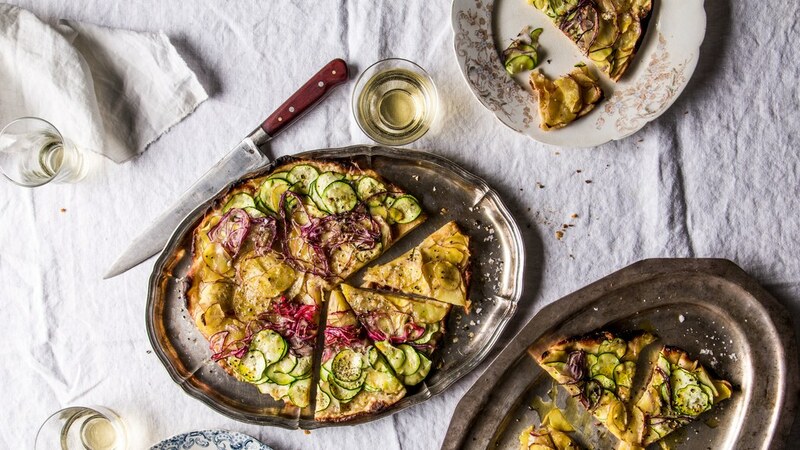 #8 Veggie Loaded Pizza: Need to get your kiddos to eat those veggies without them even knowing? This is how you do it! You can use the veggies you’ve got on hand (or those from your vertical garden). It’s got flavor and is a great way to trick your kids into eating their veggies (and loving it too!) I love this homemade pizza recipe! 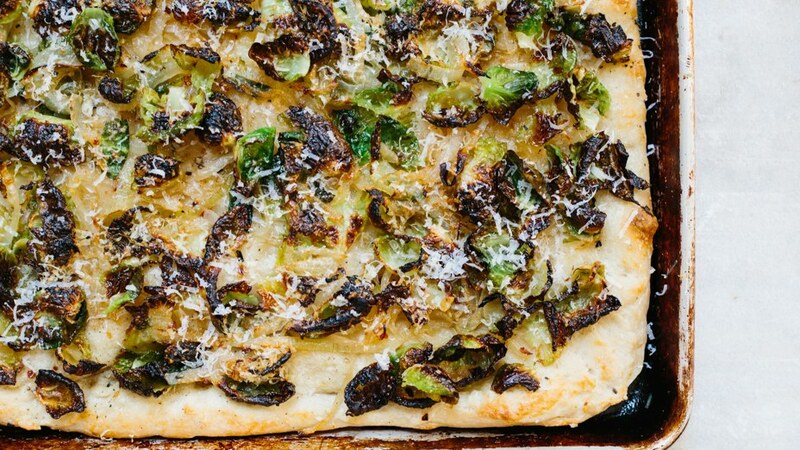 #9 Brussels Sprout Pizza: This makes a great appetizer as it can be cut into smaller flat bread slices, or your can add an egg and make it a main dish! You could also sprinkle on some pancetta or prosciutto to make things a little more salty and delicious. So move on over Taco Tuesday-because here comes Pizza Monday, Tuesday, Wednesday, Thursday, Friday, and every day! These homemade pizza recipes are sure to be a hit and hopefully you can find something for everyone. Bon Appetit!